With a perfect smokey, salty and sweet flavor, BBQ sauces can transform a typical grilled meat into a dish that can dance on your taste buds. A powerful BBQ sauce augments dishes with a smokey and tangy flavor. But the irony is many of the sauces you find in grocery stores are full of questionable ingredients and lack enough SPICE. Being a rather health-conscious BBQ Grill lover, I have faced a challenging situation. 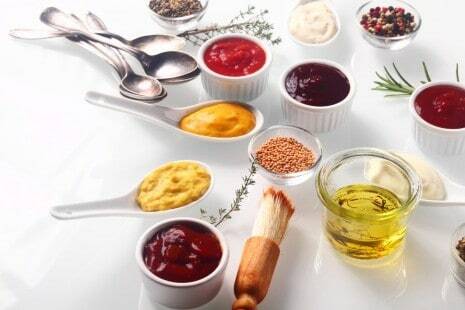 If you are planning to avoid unhealthy sauce filled with preservatives, thickeners, shelf-stabilizers or other chemicals, you don’t have any other choice than to make your own sauce. Of course, you can buy sugar-free BBQ sauce (click here for a few of them) when you are short of time. 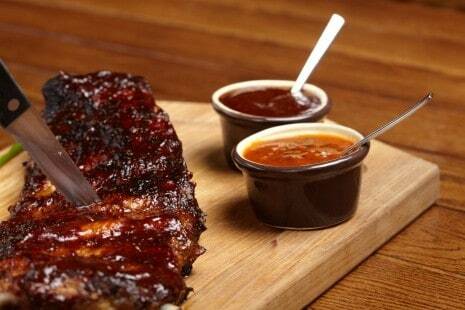 So try your hand at making your own homemade spicy BBQ sauce with these recipes. 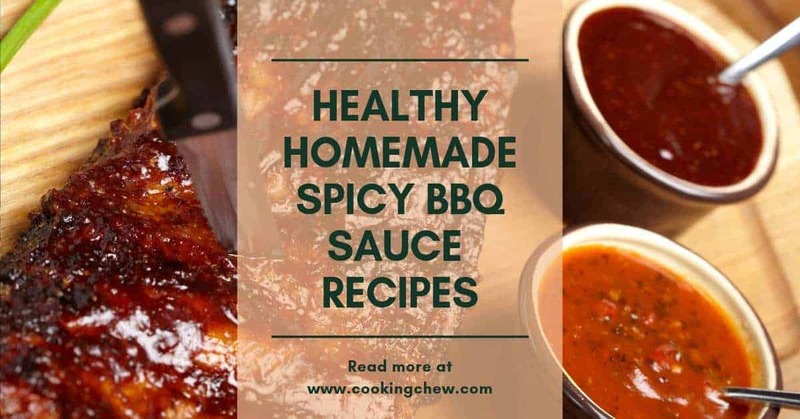 In this article, I am going to share two healthy homemade spicy BBQ sauce recipe which will surely surpass your prior BBQ experience. 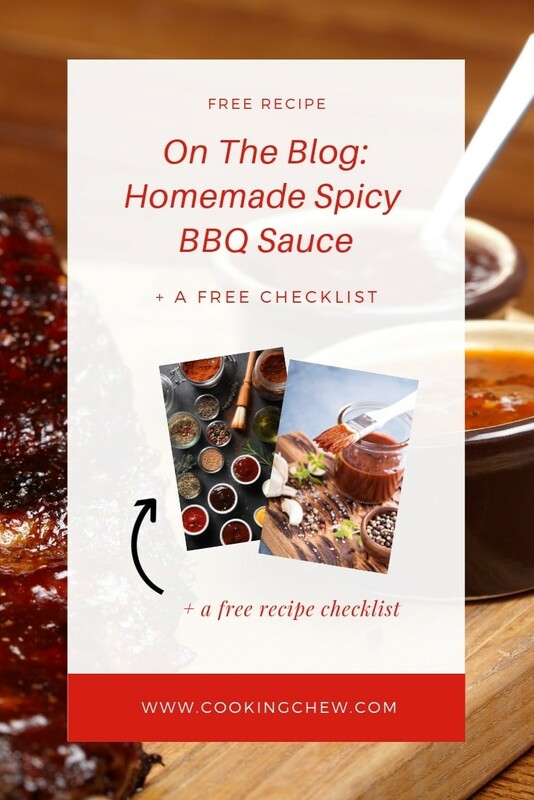 I am also sharing a low-carb sugar-free bbq sauce recipe. So, If you are following a ketogenic diet, you can also indulge with your favorite BBQ grilled meat with mouthwatering and healthy sauce. You might think that making a Low-Carb Sugar-Free BBQ Sauce would be very complex. 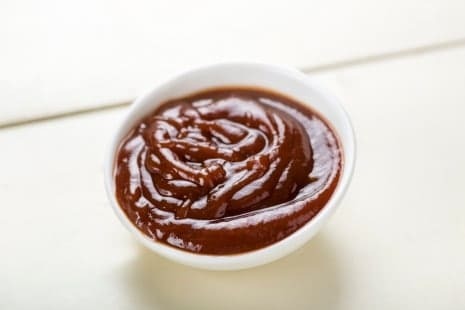 This Low-Carb Sugar-Free BBQ Sauce is very simple to cook and it requires only 10 or 12 ingredients that are all flavor-packed! Liquid or powdered sweetener to taste. Start with ¼ cup. We recommend Swerve or monkfruit. On medium-high-ish heat, bring to a gentle boil, watching the pot so it doesn’t stick or boil over. Then simmer for 20 minutes on low-medium heat. The great thing about this smokey BBQ sauce is that even though it's homemade you can store it for six to eight weeks in the fridge. A glass container works best for storing high-acid foods. This sauce is one of my favorite bbq sauce recipes. It’s bold, veering toward pungent, which goes perfectly fine with any BBQ food recipe on your portable smoker (Grills forever lists a few here). Dab it on thick before your meat goes to the grill, and again while it’s cooking. Furthermore, it has no artificial sweeteners—it’s honey-sweet, but you can forego this altogether and just go for the savory gusto. Add oil to saucepan; bring to medium heat. Add chopped garlic, cayenne pepper, black pepper, chili powder, paprika and salt. Cook for 1 minute. Now, add the tomato paste and honey, vinegar, mustard, liquid smoke and Worcestershire. Cook over low to medium heat for 20 to 30 minutes, stirring occasionally. Careful not to overheat, you don’t want it to stick to the bottom. Taste the sauce. Tailor this recipe to make it your own: more sweet? Add honey a tablespoon at a time, then simmer. Is it too tomato-y? Add a 1/3 c of water and vinegar. Always adjust seasoning 1/8 teaspoon at a time because flavors meld as they sit. ​​Let it cool, then pour it into a glass container with tight-fitting lid. Sauce can be frozen or stored in the fridge for 6 to 8 weeks. You don’t have to forsake your favorite bbq grill item to avoid the sweetened sauces. With these healthy and easy bbq sauce recipes, now you can also enjoy all types of grills. My favorite grilling meats with these sauces are grilled turkey and beef. Now It's your turn to surprise your friends and family with your homemade spicy bbq sauce recipe. Let us know in the comments if you've made one of these recipes and how you tweaked it!